Reduce ED wait times, avoid unnecessary admissions, and deliver cost‑effective crisis care with telepsychiatry. Provider shortages and the increasing number of mental health patients are creating gaps in the delivery of care. Offering efficient and quality behavioral healthcare can be difficult in today’s Emergency Departments. Escalating demand for behavioral health services is having a significant impact on healthcare networks, especially in Emergency Departments. With patients lacking access to adequate mental healthcare, many seek help at the ED. Today, behavioral health makes up 10% of all ED visits, and is expected to increase to 23% in the next decade. Behavioral health patients in an ED are expensive, costing on average $100 per hour per bed. Combined with the lack of specialists and the longer-than-average length of stay, EDs are threatened by significant costs. With telepsychiatry, patients are assessed faster, discharged with a care plan, or transferred to a support facility in an efficient manner that avoids the high costs of hospital admission. Telepsychiatry helps to avoid unnecessarily transferring patients to a hospital by instantly connecting to behavioral health specialists to assess and determine the best treatment plan. By decreasing the time behavioral health patients spend in the ED, patients with other ailments — which emergency physicians are more adequately trained to treat — can be seen. Hear about the state of behavioral health and the role telehealth can play in addressing these challenges. 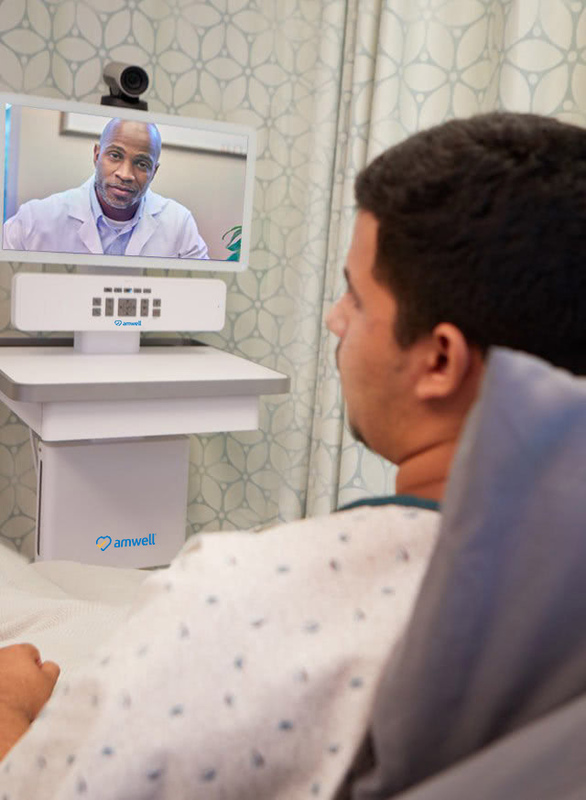 American Well is powering telepsychiatry programs to fill gaps in care with a true 24/7 solution that enables more effective care coordination, decreased wait times, fewer admissions and shorter lengths of stay. With American Well, hospitals and EDs are better positioned for a more clinically efficient and financially profitable future. Request a demo to see our tele-behavioral health solutions at work.